Fun sports games is one fun thing that nearly all kids can agree upon. Whether it’s team sports activities, sports games for kids, kids exercises, or even just talking about sports (scroll down to see our inspirational sports quotes! ), there is something for everyone. UNICEF Kid Power is all about being kids being active, and a big part of being active can include kids sports games and activities. Whether it’s a parent, coach, teammate, or a kid, take a look at our list of kids sports resources below! What are the Most Popular Kids Sports? Basketball Games for Kids: Every kid dreams of making it to the NBA, and basketball is the most popular kids sport in America. Rugby Games for Kids: It’s a rough sport but plenty of tough primary school kids want to play it! American Football Games for Kids: The NFL is the most watched sport in America, so it’s no wonder why kids love this sport. Tennis Games for Kids: Tennis is a great solo and team sport if you play with a partner. Your kid will be in Wimbledon in no time! Running Games for Kids: Running is a great sport for kids to stay in shape. Check out sports games list to make running fun for your kid! Soccer Games for Kids: There is a reason why soccer is the most watched sport in the world, including kids. Track and Field Games for Kids: This is an Olympics-style sport that many kids start to pick up on later in elementary school. Gymnastics Games for Kids: If your kid spends time in the gym, then this is for them! Volleyball Games for Kids: Playing volleyball is a fun kids sport activity in the gym, your backyard, or even on the beach! Golf Games for Kids: Though golf is more of an adult sport, everyone needs to start somewhere. Our post will help your kid make golf their favorite sport! Ping Pong/Table Tennis Games for Kids: Ping pong is a classic sports activity that kids love – in between classes, summer camp, wherever! Hockey Games for Kids: The NHL is waiting for your kids to take up hockey, so that they can become big NHL stars! Swimming Games for Kids: Swimming in the pool or the ocean is a fun sports activity – your kid can learn drills and have fun too with our list of swimming recommendations. Cricket Games for Kids: Cricket is more of a UK and Australian kids sport, but it is becoming a popular American kids’ sport as well. Badminton Games for Kids: You’ll need a net for this, but kids love Badminton, as it seems to be one of the most popular summer camp sports out there! Indoor Bowling Games for Kids: Bowling is a recreational activity for many families, and what could be better than a Sunday with the family going bowling and playing arcades? Lacrosse Games and Drills for Kids: Lacrosse has recently surged in popularity, so don’t be surprised if your kid comes home from school asking to play this sport with his friends. Figure Skating & Ice Skating Games for Kids: While ice skating is a fun family activity for Sundays, it can be a very competitive kids’ sports activity. Skiing & Snowboarding Games for Kids: When it gets cold outside, your kid will get the adventure bug and will want to experience extreme sports games in the snow. Judo Training Drills for Kids: Judo and karate is a serious sports activity that many kids take up for after school activities. Karate Games for Kids: Karate can be fun and educational if done correctly – our guide offers 5 great karate games along with safety guidelines. Wrestling Drills for Kids: Wrestling is another popular after-school sports activity for kids – make sure they learn how to wrestle properly. Ten Pin Bowling Learning Drills for Kids: This popular kids sports game can be learned properly so that your kid can be the best ten pin bowler out there! Kayaking Drills & Activities for Kids: Your kid probably came home from sleep-away camp wanting to go kayaking more! Not to worry, we’ve got you covered. Surfing Drills & Activities for Kids: If you live on the coast, your kid probably wants to go surfing with the waves – make sure they learn proper techniques. Rowing Activities & Drills for Kids: Rowing is a physical sport activity that your kid can definitely learn with proper drills and instruction. Cheerleading for Kids: Cheerleading games & tryout exercises for your kid to enjoy! Rock Climbing Games & Activities for Kids: Taking your kid rock climbing can be a lot of fun. Read our guide to learn some great rock climbing games and safety measures as well. Fishing Games & Activities for Kids: Taking your kid fishing can be fun, especially if you have a few fun and educational fishing games prepared that your kid is sure to love! Baseball: Obviously it is ideal to start with a foam ball, and make sure there is enough space around the hitter so that they don’t accidentally wack anyone! Balloon Football. Obviously you don’t want to play football in your family living room, which is why this safer version of football is the perfect indoor sports activity for kids. This game is easy: simply drop a balloon in the middle of a long rectangle table, and have each team try to blow the football toward the other’s side goal. For a funnier, larger than life version of indoor balloon football, check out this must-see video. Hula Hoop. While most might think that Hula Hoops are a solo activity, you can totally play hula hoop with others as a fun kids indoor sports activity. The most fun team-based activity using a Hula Hoop is racing: Have two kids spinning Hula Hoops and then try to simultaneously move, whether they run, shimmy, or herky-jerky their way to the finish line, and is then declared winner! Foam Sports: Foam sports are perfect for indoors, since most foam objects won’t break any windows inside your home! Take your kid to your local department store, and be sure to pick up a foam basketball, foam football, or even Nerf foam guns. Make sure you ensure boundaries in your home when letting your kid play indoors with foam sports toys. Many of the outdoor sports activities and games for kids have been covered above in our kids’ sports activity section. However, there are certain sports activities which are great for outdoors. Additionally, outdoor sports activities for kids offer various benefits, including physical and social. The physical benefits of outdoor kids sports such as soccer, skateboarding, hiking, biking, and football include: building muscle, gaining acute flexibility, improving balance and coordination, losing weight, and general endurance. The social benefits of outdoor sports are extremely obvious and, well, beneficial. Playing sports outdoors with a bunch of kids together can improve general social development, in that kids will learn to interact with each-other naturally but with sports as the main social anchor of the activity. Additionally, social interaction will improve other facets such as leadership, self esteem, and general teamwork through the construct of the sports games themselves. Ping Pong. Would you believe that ping pong is not only fine to play in the rain but even more fun than when it’s dry out?? Playing ping pong in the rain is a really fun activity. Sure, the rain might be a bit distracting, especially if your kid is wearing glasses. However, the ball still travels well, and hits off the paddle quite nicely, even with rain smacking down on it. Additionally, playing in the rain will probably improve hand eye coordination at a higher level so that when the rain stops, your kid will be much better at ping pong! Football. If the NFL can play in the rain, then why not your kids. To be certain, playing football in the rain is obviously less safe, and should be closely monitored by an adult or referee. However, it is definitely an exhilarating experience to run around in the rain, especially chasing a football thrown in the air. It is recommended to wear cleats so that your shoes maintain good traction on the ground, thereby making it less likely that you will slip. Swimming. The only trick here is to find an outdoor pool with no roof above it. But if you can, then this is definitely a fun kids sports activity – frolicking around in a pool is fun by itself, but with rain pouring down and causing ripples in the pool can also be exhilarating. Additionally, any kids sports games that usually happen in a pool or much more exciting in the rain: whether its Marco Polo, pool basketball, chicken fights, beach ball monkey in the middle, or just an old school swimming race – all of these kids swimming pool sports games will be a ton of fun! Indoors. Sometimes, even though the rain can be exciting, might not be worth any risk. If the rain turns from a drizzle into something resembling a downpour, then it is probably best to head indoors for some indoor sports games for your kids to enjoy. Especially if it begins to get windy, or even worse, thunder, at which point you should get indoors immediately!!! But once indoors, you can certainly enjoy a bunch of active kids sports games like playing with Nerf sports toys, hide and seek, or an indoor soft basketball hoop that you can hang on any door. Basketball is the most popular sport by far! By the time kids reach the age of 9, both boys and girls begin to play basketball and it becomes the most competitive sport, with kids taking up competition and joining local youth leagues and summer camps. At age 9, an impressive 14% of boys and girls are playing competitive basketball in youth leagues. To be clear, it actually didn’t start that way. At age 8, the most competitive sport was baseball, with 12.5% of kids playing competitive baseball in youth leagues, with basketball at just 11% and soccer at 10%. Basketball’s popularity takes over at age 9, and the by age 10 jumps to 17%, then a staggering of 20% of kids play competitive basketball at age 11, followed by a hair of an increase to 20.1% at age 12, which seems to be the peak. By age 13, competitive basketball among kids begins to drop to 19%, which continued drops each year down to 15% by age 17. For comparison’s sake, at age 17 we see drops for all sports, with baseball, soccer, football, and volleyball all hovering between 4 and 8% for kids (or teenagers at this point) taking up competitive sports. (It is important to distinguish between kids sports games and competitive sports – this survey only studied competitive sports which means official leagues via schools, camps, and programs, but does not include friendly or local sports games without officiating). What is most interesting in terms of the breakdown of most popular kids sports activities is that soccer maintained the most straight line out of all sports, with the least amount of deviations of popularity or lack thereof over the years. At age 6, soccer is played by 7.5%, then peaks at 10% by age 8, then stays at roughly 10% for 4 consecutive years, and then settles in at 6% by the time kids reach age 17. It should be noted that a reason for the drop-off at age 17 is not a lack of interest by kids in sports activities, but rather moving on from high school and to college, in which sports is less of a focus, and is replaced by classrooms, studies, internships, and general job prep. This is not to say that interest in sports activities such as soccer or basketball dissipate, as this study does not account for recreational sports. There is little doubt that even after a teenager stops playing competitive sports, they are still active in sports games such as intramural basketball and friendly pickup soccer or football games with local kids or classmates. Now that we’ve presented to you a huge list of kids sports games and activities to make your kid a better athlete, we want to discuss the importance of sports games. Though it might seem like a normal fun activity, (and your kid having fun is important too), there are very important developmental aspects to your kid playing sports games. There is tons of evidence out there that simply getting kids together for an activity or game is beneficial for their development. By making this activity a sports activity simply makes it more an active and healthy exercise, as it gets kids outdoors, moving around, and interacting with one another. A research study from Yale University titled “Organized Activities as Developmental Contexts for Children and Adolescents” discusses the benefits of team-based activities: Research shows that participation in organized activities can have a range of positive influence on children and adolescence. The most important attribute to instill in kids is to stress the importance of hard work. All of the greatest athletes succeeded because they put in hard work. Talent and opportunity is not enough, and kids need to know this. Kids might find it hard to exert themselves physically, especially if it causes injuries. And of course they should know their limits, which is why parents should be on call and aware of their kids’ sports activities. However, any kid who wants to be great, has to know that the more effort they put in, the more they work, practice, and train, the more likely they are to be better than their peers and become something truly great. 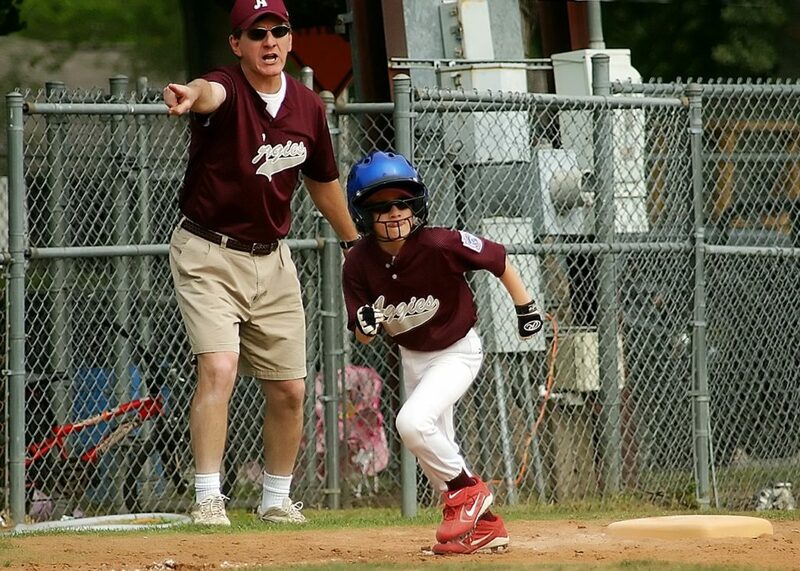 Building confidence in kids when they play sports from a young age can have a great effect on their future performance and confidence as well. 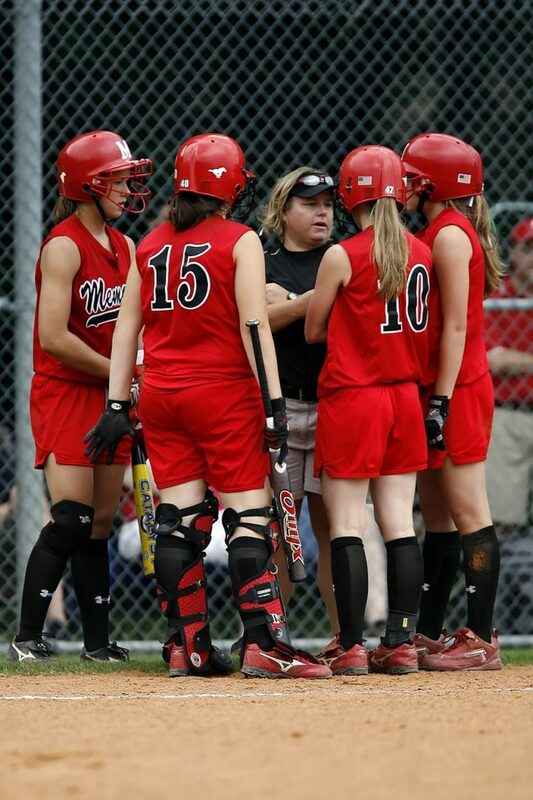 How Do Team Sports Help Kids in School? Beyond the classroom, it is no surprise that sports, and especially team sports offers a multitude of benefits to kids in their life development. Partaking in sports activities with others increases social interaction, forces kids to work together toward a goal, and creates a sense of competition which each kid can tap into later in life in various situations. Sure, on the surface, sports sounds like a way out of the classroom, but really, kids sports activities will help propel a kid further in and out of the classroom. In keeping with the theme of the benefits of sports for kids, it is important to understand that teams provide more than just a fun place to hang out with friends and kick or toss a ball around. Team sports provides an outlet for kids outside of their classrooms and homes. It provides a way for kids to channel their talents, and exert themselves in ways that they otherwise could not have in a classroom or at home. Furthermore, the idea of team sports for kids presents opportunities for kids to work together toward a common goal, which is usually to win the game. But regardless of the outcome of a sports game, the real goal is for a kids sports team to develop camaraderie, respect for one another, and to learn about each other. These skills developed during team sports activities will undoubtedly help these kids in both school and professionally later in life. Just like adults, sometimes kids need inspiration to succeed in sports. Whether it is a locker room speech from a coach, a pep talk from a parent, or even members of the team talking and motivating one another – the point is that inspiration can come from anywhere. When it comes to sports trivia questions and answer games, there is no right or wrong. Kids will be happy whether they know or don’t know the answers, because it’s always a fun, good natured competition, and kids love to impress eachother with their knowledge of sports and trivia answers. How many championships did Michael Jordan win in the NBA? 6 (1992, 1993, 1994, 1996, 1997, 1998). Who has the most home runs in Major League Baseball history? Barry Bonds – 762.
Who had the most receptions ever in 1 NFL game? Brandon Marshall, with 21 receptions in 2009.
Who has the most hockey goals in a single NHL season? Wayne Gretzky, 92 goals in 1981.
Who had the most rebounds in a single NBA game? Wilt Chamberlain, with 55 rebounds in 1960. Reach out to us on on Facebook page for any followups or comments!